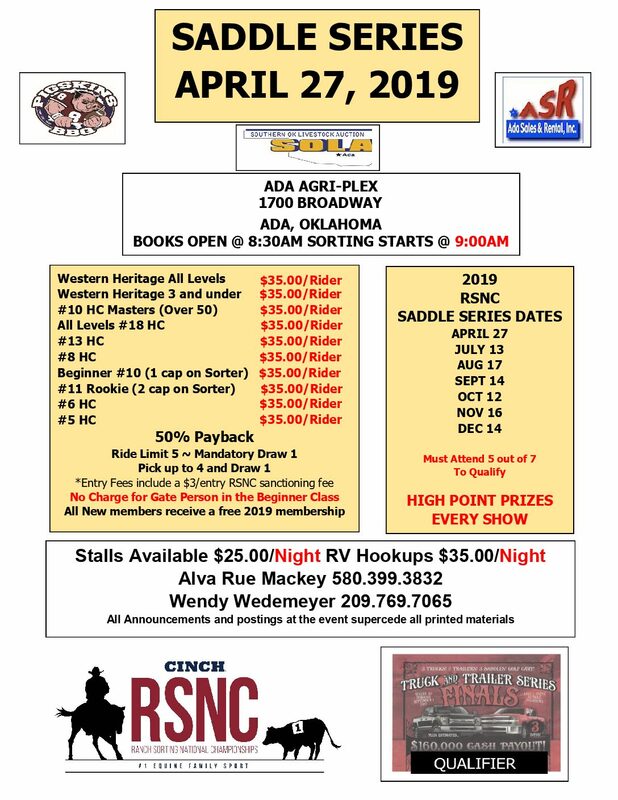 The RSNC Ranch Sorting in Ada will be held on Saturday, April 27th, 2019 in Ada, Oklahoma. This Ada rodeo is held at Ada Agri Plex. Must attend 5 out of 7 to qualify. High Point prizes for every show.